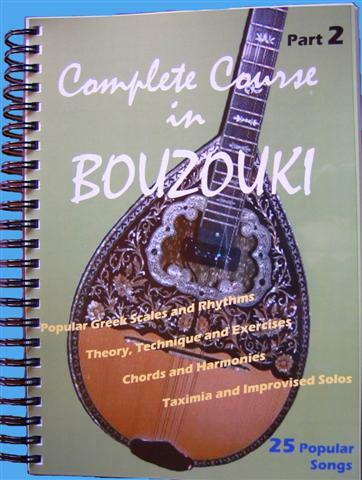 This bouzouki course is an absolute masterpiece. It is eloquently and succinctly written. 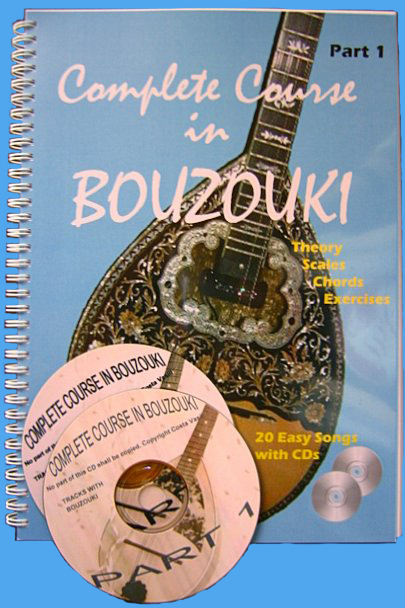 It is extremely well structured, highly engaging and gets right to the heart of bouzouki fundamentals. I am enjoying the journey and recommend the course to anyone who is serious about learning to play this beautiful instrument. I received the book yesterday and what can I say........Kataplhktiko! Feel free by the way to post my comment on your website if you want. The 2nd book I received is extremely well organized and very easy to follow. You explain all the difficult concepts in a very succinct and intuitive manner.It is indeed my pleasure to have such a book in my collection. I'm even considering ordering the first book even though i probably know most of the concepts presented therein. 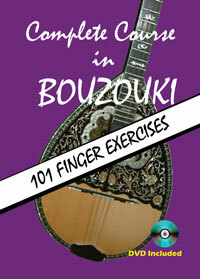 The book was for my son, he says it is the best bouzouki book he has seen and has been working through them madly. thank you very much!! These books look wonderful. It looks like you hit all the topics anybody would want. Very detailed. Very thorough, and despite what some people have said on Skeezo, on the contrary, I think they are very inexpensive for the content. Well, I need to start practicing and going through them now that I have them. I am sure they will make my life much easier. Thanks. Hey thank you very much I was just looking for a book with my teacher to start learning...and this looks PERFECT. Thanks so much...I will definitely buy it.